My keyboard is on fire, but here goes the last analysis of the trade season. The most significant trade before the trade deadline is happening for Orlando. 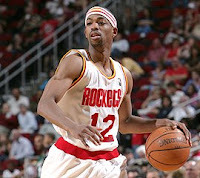 The Magic will receive Houston's Rafer Alston. The Rockets will receive Kyle Lowry. Brian Cook, a first round pick, and some filler will go to Memphis. This deal works for everyone. Lets take this one step at a time. 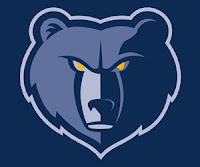 First, the Grizzlies. They are a team that has the lowest payroll in the league, but they have a tremendous amount of young talent. A first round pick is only going to add to that. With Mike Conley playing extremely well the last few weeks, and OJ Mayo in the long term plans, the Grizzlies got rid of Lowry. Coming into the season, they were wondering what they would do with Javaris Crittendon, Kyle Lowry, and Mike Conley. It was for sure going to be a throw down to see who would win the job. Crittendon lost the battle first, and then Conley proved that he could be the guy bringing up the court. Now Lowry finds himself on a struggling Houston team. As for Houston, I think that Lowry can help them out back there. He will increase all of his averages of 7.6ppg and 3.6 assts a game. He will see a lot of playing time because I think that Rick Adelman will continue to play Aaron Brooks off the bench in the same capacity Brooks has played all season. Brooks will compete for the starting job next season, but as of now, Lowry will be given the thumbs up. The Rockets will also get Brian Cook. Cook has developed a terrible reputation of being a shooter every time he touches the ball. Problem is, he can't shoot. Cook is only shooting 38.3% on the season. Don't expect that to change anytime soon as he probably won't get in the rotation that often, but his salary made the deal work. Cook's impact on the team will be minimal. Overall, Lowry is about half a step down from Alston, but for next season, after he learns Adelman's unique offense, he will be a much more effective player. Lowry is a steal with his talent and salary. Lowry is due to make $1.1 million this season, and just over $2 million next season with a qualifying offer in none other than, the summer of 2010. From watching Lowry play, he doesn't seem like he commands on the floor. He seems to force the game. 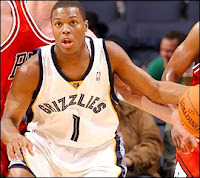 Lowry also seems to play off of other players. He waits for a player to make a move, and he reacts to that. It doesn't seem like Lowry creates opportunities for himself outside of his occassional drive to the basket. I think that is something he can work on, and will change when he gets used to the talent around him in Houston, and of course, when the Rockets are healthy (if that ever happens). This is the perfect situation for Lowry to develop himself as a credible guard. The spotlight is on him in Houston, and he will be asked much more next season than this season. Think of the last part of this season as a warmup for Lowry. So the last point guard that went to Orlando from Houston was a guy named Steve Francis. The guy who came to Houston was Tracy McGrady. We know how that went down. Put aside what you may think about T-Mac right now, and realize that he averages over 29ppg in the playoffs. When healthy, Tracy McGrady is one of the NBA's elite. Steve Francis, not so much, to say the least. When Jameer Nelson went down, Orlando tried to play it like Anthony Johnson could carry the load. After watching the unathletic veteran for a few games, it became very clear that Johnson would not be able to hold the fort down. So here comes Alston. The guy has had some big games the last couple games. Alston is an extremely streaky shooter. I never thought about it, but Alston is a poor man's Jameer Nelson. He is averaging 11.5 ppg, 5.4 assts, and 1.19 steals. Nelson averages 16.7ppg, 5.4 assts, and 1.21 stls. With the exception of points, those are virtually the same numbers. Alston is smaller in size, has the handles, can pass, and score. I can make this comparison because they both played with a dominant center that changes defenses. We should also note that Alston has never had a full arsenal of options available to him. He does have that in Orlando. Expect his numbers to jump a little bit. I think they have some similarities and some differences. The similarity is their shots off of screens. Nelson loves shooting off of screens and giving the pick n'roll pass. Alston likes to shoot off of screens, but the pick n'roll isn't so big in Houston, but Alston had his fair share of assists to Yao. I think Alston will make an immediate impact in Orlando, and that is what they need. Alston was stuck in the limbo land of Houston, and he is now on a championship contending team. If the Magic don't like what Alston is doing, he is making $4.9 million and will make a bit above that next season, but his contract expires in none other than the summer of 2010. Perfect. Alston will undoubtedly thrive off of Rashard Lewis and Hedo Turkoglu's shooting ability. He will be able to create shots for himself, and like Jameer Nelson, Alston loves to drive to the basket. We have seen this time and time again, Alston driving to the basket, defenses collapose, and he drops the ball off the Scola or Yao for the easy put away. Well, the same thing is going to happen in Orlando with the exception of dropping off to a PF or SF, he could kick it out to the wings for 3, or give it to Dwight Howard. Either option is going to be a favorable outcome for the Magic. The one concern is when Nelson comes back. Do they just have Alston come off the bench? I think they will let that happen for a while, but they will probably trade him away after they don't need him. Alston is a quick bandaid for the Jameer Nelson loss. After Nelson is back and healthy, Alston's expiring contract and proven play will be good trade bait next season. It is looking good for Orlando. They can now safely start discussing a legitimate playoff run. Hey I'm loving these trade analysis articles. Good work and keep it up. are driving an actual car. I haven't really owned the mouse long enough to test the battery life, but Logitech claims it can run for up to two years on a single pair of batteries, and several other reviews I've found online attest to that fact. Click it and look inside for the folder regarding keyboards. change in demand with the changing trends and upcoming technology. the remaining settings are governed automatically to provide you with an excellent picture. death in February of last year. There are many famous author books published on poems. And now we'll be able to help her music selection grow and change right along with her. According to online music provider Pandora the legislation will help end the discrimination against internet radio. This powerful and versatile solution is also available in three different versions, so you should have no trouble finding the perfect one for you. rope skipping, medicine ball handling, etc. You don't have to hit the gym for two and three hours each day to lose weight, but it does help to squeeze in 30 minutes of physical activity each day. Vitamin B3 or also called as Niacin is important in weight loss because it is responsible for the regulation of thyroid hormones and also in sugar levels in the body. The institution has persistently offered ideal programs and services for those struggling to achieve certain levels of body weight. boys, so you can find an excellent guide who really knows what he's doing. Never dawned on me that they might want to try it, so I was surprised one day in the late-eighties when my son called and said they wanted to go fishing. Itis one of the most important aspect is that it is very much pleasurable, peaceful, and every so oftenworthwhile also. charter boat and avoid a few of the pitfalls. When the water arrives at the inlet, most oxygen is dissolved because of the abrupt transformation of water movement. The person who feels this way knows exactly how they feel, it just doesn't jive with what society thinks their gender or sexuality preferences should be. David Schwimmer, best known as Ross Geller in the situation comedy "Friends," has directed his second feature film, and the 15-year-old actress who stars in "Trust," Liana Liberato, was named Best Actress at the 46th Annual Chicago Film Festival on Saturday, October 16th. phase you'll be focusing on. can do something to help others and make a difference. the game itself. Making your game play is the next phase you'll be focusing on. people; the part that just doesn't always get it right. It is a very capable digital audio editor, that has multiple options for remixing and refining the various sounds you can create. lot of people's eyes is the fact that there is no multiplayer content. If you want to be able to hit the ball further and harder, you should keep in mind to keep your grip on the bat loose, your swing should begin with your legs and hips, and finally, you must always follow your bat through. if you aim at your target's head it WILL be a headshot instead of the invisible dice rolling a 5 and telling you that you somehow missed. Imagine never having to worry about what to wear to work, and even the infuriating traffic jams that never seem to end. Harry Potter Hogwarts is one more entry into this new series of LEGO board games. - Tunes. These channels offer a variety of genres for the user. listening to are all automatically updated. You don't have to hit the gym for two and three hours each day to lose weight, but it does help to squeeze in 30 minutes of physical activity each day. Vinson had participants keep their normal diet and exercise routines (or lack thereof) and merely added the green coffee. The institution has persistently offered ideal programs and services for those struggling to achieve certain levels of body weight. feature film comedies like Clerks, Dogma and Jersey Girl. web host to run the programming smoothly. Better you connect another mouse with your computer. what to wear to work, and even the infuriating traffic jams that never seem to end. although what this means is up for interpretation. for i - Phone, i - Pod Touch, and i - Pad. are reviewing. But what happens when a player runs out of race tokens. value and quality of their products and services, online audio will come of age in a big way. that offer this camera. The EOS 50D's body design allows the camera to fit perfectly in hands while taking even the most difficult shots. This often enables consumers to review each camera individually to get all the details and find out what is included with their purchase. That's like Houston Texas being without a Country station. Often, long term schedules with a bit of breathing room work best. These channels offer a variety of genres for the user. have to reliving that long rendering process or DVD-writing process, but it'll be worth it. I'd like to spend more time with him but there doesn't seem to be anything he likes to do. promote, you must have considered the radio as one of the best alternatives to introduce your music to the crowds. mother and make it a special memory to always remember. you aim at your target's head it WILL be a headshot instead of the invisible dice rolling a 5 and telling you that you somehow missed. However, every character in the game (even supporting players) should be presented in this same detail. For the purposes of this game, a "set" is at least three cards of equal value such as three Jacks or three fours and a "sequence" is made up of at least four cards that are of the same suit and run sequentially such as three, four, five, and six of spades. penalty. The only downside of it in a lot of people's eyes is the fact that there is no multiplayer content. The most unique thing about Ouya is that it is said to be "open" -- although what this means is up for interpretation. years. You will find more than two-thousand radio stations already listed and ready to record with Juke - Rec. know that it will not sound well. We definitely like it's simple, clean black styling, push-button central dial and nicely labeled front controls, and the way that stations have sounded as we. Raima has options to limit individual file sizes in the preferences dialog. If your camera doesn't have this option, try going outside where the light is usually better. 1MP resolution and you can be sure of high quality photos with it. Macro is for getting those awesome close-up shots that are often seen on sites like Flickr. the service provider on the basis of the actual number of impressions). We definitely like it's simple, clean black styling, push-button central dial and nicely labeled front controls, and the way that stations have sounded as we. You will find more than two-thousand radio stations already listed and ready to record with Juke - Rec. develop a relationship with those prospects on your list. high. Aside from the obvious difficulties of pitching so brilliantly in such a high pressure situation, Larsen's feat is even more impressive when one considers that the Dodgers had four future Hall of Famers in their lineup: Duke Snider, Jackie Robinson, Roy Campanella and Pee Wee Reese. Are you a Kansas City Chiefs or Pittsburgh Steelers fan. might even sit in a table and look up to see stars in a clear night sky. attempt. It’s old news that tracking food intake could lead to losing a few pounds . services for those struggling to achieve certain levels of body weight. - Berry Curve 8330, Black - Berry World 8830, Black - Berry Pearl Flip 8230, or Black - Berry Pearl Flip 8130, then you can listen to nearly a thousand songs on a single micro - SD card. have a few drinks, and unwind. now than before and have changed my tastes. It is a very capable digital audio editor, that has multiple options for remixing and refining the various sounds you can create. You don't need to take my word for this, you can read the reviews for yourself. Mega pixels are how manufacturers measure the pixel count of an image created by a camera. This lets you manage exactly how wide the camera shutter opens and the remaining settings are governed automatically to provide you with an excellent picture. to a max of 4 pounds a week so you won't suffer loose skin post weight loss. That way, the actual process will end up being much less frustrating and, for the majority of people, enjoyable. music or rather the radio would be one of the areas being dominated by the internet. camera is best then you are surely mistaken. would be one of the areas being dominated by the internet. offers a whole lot more than just your favorite music online. "Mike" is Mike Dean, according to the scanty information available, and beyond that there's not much about him. These attributes, such as instrumentation, vocals, lyrics, harmony and almost 400 others allow songs with similar attributes to be related to each other and played together in a pleasant music mix. listening by clicking on the Facebook link on the bottom right. to that of a method actor. It may feel awkward or just plain wrong to write in new ways, but the more uncomfortable it feels, the more it's likely to lead to breakthroughs. diameter, durability, abrasion resistance, flexibility, stretch, knot strength and importantly visibility. This basic knowledge will allow you to test a few of them out on your preferred fishing waters. three days of the week on which you will always weigh yourself (for example, Monday, Wednesday, and Friday). best. This 12 megapixel camera is capable of capturing 3D photos too. At present these consumer reports are extremely valuable. keep to a max of 4 pounds a week so you won't suffer loose skin post weight loss. The institution has persistently offered ideal programs and services for those struggling to achieve certain levels of body weight. the remaining thyroid tissue to be completely starved. Many people don't have the time to weight themselves every day, but checking the scale on a regular basis can definitely help when you're working to lose weight and keep it off. Also visit my web blog :: careerforum.mcdir.ru/blo..
household “must have". The station has to be approved and then it will be added to the list. There are sophisticated Wi-fi Internet radios available now, which are available complete with speakers, are portable and do not require a computer. who do the same and they become viral. Poems can be categorized as; Children's Poems, Love poems, Friendship poems etc. the good ones. Expect to lose all that extra flabbiness as you melt off all your unwanted fat. there are two options the officials can take. Broadcast satellite "in the Star on the 9th," was successfully launched in June last year, it can be said is a milestone in the field of live satellite event. chew on is to make sure the audio quality is excellent on any spot your produce. because of the many features you can have. This means that you don't have to purchase additional hardware to be attached to your device or install another software program for you to enjoy online streaming radio. people who enjoy baking, it makes gift buying a lot easier than it used to be. with whipped cream as a filling between the layers.